NanoRacks has completed their first CubeSat deployment mission on the India Space Research Organization’s (ISROs) Polar Satellite Launch Vehicle (PSLV) — this mission was brokered on behalf of Spire, which now has four more of their LEMUR 3U CubeSats in orbit. Artistic rendition of a Spire Lemur smallsat on-orbit. Courtesy of the company. Notably, this mission included the launch of Spire’s 100th Lemur satellite. NanoRacks announced SSO polar orbit launch opportunities after receiving significant demand and strong feedback for the customer support that the company offers. Polar orbit offerings come in addition to NanoRacks’ proven success in smallsat deployments, having deployed more than 230 satellites to date. The launch of 28 satellites aboard the PSLV-C45 rocket. Courtesy of ISRO. 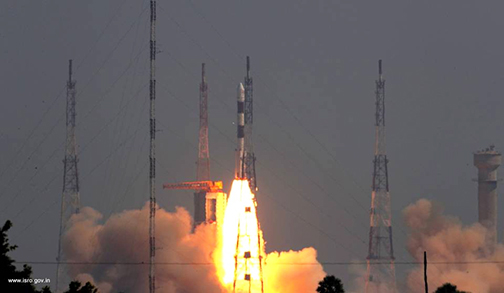 This PSLV opportunity was completed in coordination with Berlin-based Astro- und Feinwerktechnik Adlershof GmbH (Astrofein) to manufacture and supply deployers, and the launch opportunity with Antrix Corporation Limited (Antrix), the commercial arm of the Indian Space Research Organization (ISRO). 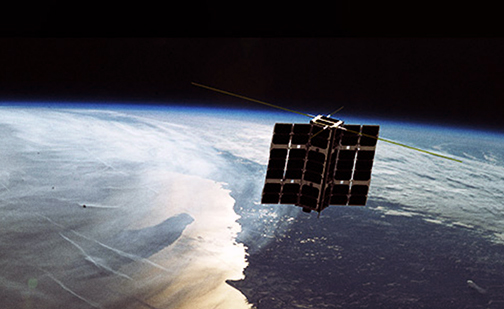 NanoRacks' commercial smallsat deployment opportunities in low-Earth orbit have sparked accelerated growth for numerous startup companies, provided educational opportunities, and driven the market for commercial access to space. 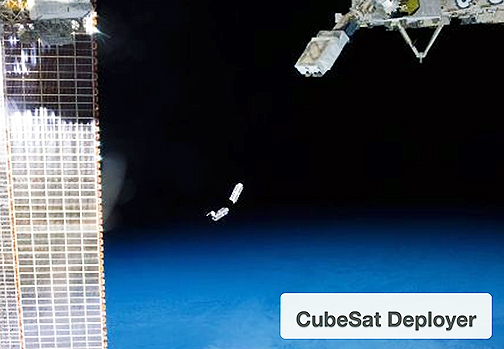 The ISS-based, NanoRacks CubeSat Deployer in action. Jenny Barna, Spire’s Director of Launch, said the company enthusiastic to have shared this milestone with NanoRacks. They launched the company's first prototypes several years ago, so it’s fitting that the company's 100th LEMUR satellite was sent to space via their technology. That this occurred on their inaugural PSLV launch makes this a big launch for both of the firms, together.